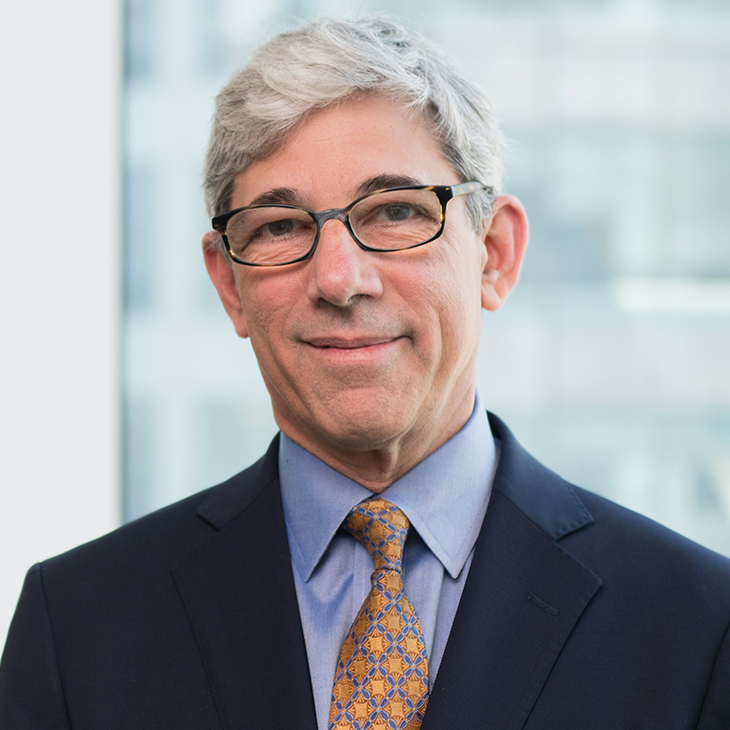 With more than 25 years of experience in healthcare law, Robert Belfort advises healthcare organizations on regulatory compliance and transactional matters. His clients include hospital systems, other health care providers, health insurers, managed care organizations, accountable care organizations (ACOs), pharmacy chains, IT vendors, healthcare industry investors and trade associations. Bob handles a wide variety of transactions, including mergers and acquisitions as well as joint ventures. He specializes in transactions that raise complex regulatory issues and necessitate sophisticated healthcare due diligence. To proactively avoid fraud and abuse, Bob advises clients on structuring transactions and conducting business in compliance with the Anti-Kickback Statute, the Stark law, participation and billing requirements for Medicare and Medicaid, professional licensing rules, and the corporate practice of medicine and fee-splitting restrictions. He also performs risk assessments and develops compliance programs. Speaker, “The Effect of HIPAA Protections on Emerging Health Information Technologies,” American Health Lawyers Association Annual Meeting, Boston, MA, June 24–26, 2019. Speaker, “Key Data Sharing Issues Driving Regulatory Change,” eHealth Initiative Annual Conference, Washington, D.C., March 13, 2019. Speaker, “Legal Considerations When Partnering on Mobile Health Apps,” eHealth Initiative Executive Advisory Board on Privacy and Security, Washington, D.C., Sept. 20, 2018. Speaker, “Compliance Challenges Raised by Value-Based Payments,” Health Care Compliance Association Regional Conference, New York, NY, May 2018. Speaker, “Advancing the Transition to Value-Based Payment,” Eighth National Alternative Payment and Accountable Care Organization Summit, Arlington, VA, June 29, 2017. Speaker, “Privacy Issues in Electronic Health Information Exchanges,” New York State Bar Association Health Law Section Annual Meeting, January 2017. Speaker, “The Federal Medicaid Managed Care: New Rights and Obligations for Health Plans,” American Health Lawyers Association Institute for Health Plan Counsel, October 2015. Speaker, "Value-Based Purchasing Under the Fraud and Abuse Laws," Greater New York Hospital Association, August 2015. Speaker, “Handling Land Mines in a Risk-Based Environment,” HDM Webinar, July 2015. Speaker, "Next Steps: What You Need to Know About Medicaid Managed Care," BNA Webinar, April 2015. Speaker, “Antitrust and Fraud and Abuse Challenges Posed by Delivery System Reform,” New York State Bar Association Health Law Conference, October 2014. Panelist, “Connecting the Dots: Leveraging Data and Technology to Improve Health Care Delivery,” National Academy for State Health Policy (NASHP) 27th Annual State Health Policy Conference, Atlanta, GA, October 6-8, 2014. Speaker, “Managing New Compliance Risks Under the Affordable Care Act,” American Health Lawyers Association Institute for Health Plan Counsel, April 2014. Speaker, "Into the Breach Part II, Top Pitfalls of Data Breach Notification, a Legal Perspective," HIMSS Privacy and Security Forum, December 2012. Speaker, "Marketing as per the Final Privacy Rule: Review and Analysis of Significant Changes," ACI Health Care Privacy and Security Forum, December 2012. Speaker, "Developing an Effective ACO Compliance Program," Health Care Compliance Association/American Health Lawyers Association's Fraud & Compliance Forum, October 2012. Speaker, "Recent developments in Stark and Anti-Kickback Statute Enforcement," Health Care Compliance Association, May 2012. Speaker, "A Question of Kickbacks: Avoiding Real and Present Dangers in Medicare Managed Care," American Conference Institute, January 2012. Speaker, "Breach: Incidents, Protections, Obligations and Liabilities," American Conference Institute, December 2011. Speaker, "ACO Fraud and Abuse Issues," New York State Bar Association Health Law Section Meeting, October 2011. Speaker, "Managing Compliance in Vendor Contracts," American Health Lawyers Association Fraud and Compliance Forum, September 2011. Speaker, "Security, Privacy and Other Compliance Risks in the ARRA Era," Healthcare Stimulus Exchange National Event Series, April 2010. Speaker, "Avoiding Legal Land Mines in EHR Subsidy Programs," Greater New York Hospital Association, December 2009. Speaker, "Compliance Issues for Retail Medical Clinics,” American Health Lawyers Association Fraud and Compliance Forum, October 2008. Speaker, “Managing Patient Authorization in Regional Health Information Organizations,” Thirteenth National HIPAA Summit, September 2006. Speaker, “Managed Care in New York State: Current Issues and Future Trends,” New York State Bar Association, September 2006. Speaker, “Avoiding Anti-Kickback Liability Under the Part D Program,” Health Care Compliance Association Part D Compliance Conference, September 2006. Speaker, “Designing Health Information Networks for Privacy and Public Trust,” The World Congress Leadership Summit on RHIOs, EMRs and Patient Portals, August 2006. Speaker, “Criminal Liability Under HIPAA,” Strafford Publications Nationwide Teleconference, November 2004. Speaker, “Community-Wide Health Information Exchange: HIPAA Privacy and Security Issues,” Ninth National HIPAA Summit, September 2004. Speaker, “Health Information Exchange: HIPAA Privacy and Security Issues,” Connecting Communities for Better Health Conference, June 2004. Speaker, “HIPAAs Effect on New York Law,” New York State Bar Association, December 2003. Speaker, “Special HIPAA Compliance Challenges Facing MR/DD Providers,” National Institution for People with Disabilities Conference, May 2003. Speaker, “Hospital-Physician Joint Ventures,” New York State Bar Association, March 2003. Co-author, “Risky Business? Sharing Data With Entities Not Covered by HIPAA,” eHealth Initiative, March 8, 2019. Co-author, “Fine Print: Rules for Exchanging Behavioral Health Information in California,” California Healthcare Foundation, July 2015. Co-author, “Compliance Corner: Long-Term Care and the OIG Work Plan: As HHS Sharpens its Focus, Providers Should Set Their Sights on Compliance,” Bloomberg BNA’s Health Care Fraud Report, January 21, 2015. Co-author, “The Legacy of Halifax: A New Stark Law Enforcement Landscape?” Bloomberg BNA’s Health Care Fraud Report, June 11, 2014. “Lowering Risk for Commercial ACOs,” Hospitals & Health Networks Daily, May 29, 2014. Contributor, "The Legal Framework for Health Information Privacy," Information Privacy in the Evolving Healthcare Environment, Health Information and Management Systems Society (HIMSS), 2013. Co-author, "Provider-Owned Health Plans: Here's Why the Heightened Interest in a New Industry Landscape," Executive Insight, May 2013. Co-author, "HIPAA Omnibus Rule Reshapes Landscape for Health Care Privacy, Security Compliance," Bloomberg BNA Health IT Law & Industry Report, January 23, 2013. Co-author, "A Look at the Newly Released HIPAA Audit Program Protocols," iHealthBeat, July 30, 2012. Co-author, "ACO Fraud & Abuse Waivers," Executive Insight, March 27, 2012. Co-author, "Stanford Hospital Data Security Breach May Trigger More Active Monitoring of Business Associates by Covered Entities," Health Lawyers Weekly, October 7, 2011. "Ten Key Privacy Issues for Health Information Exchanges," Health IT Law and Industry Report, July 29, 2011. “A New Fraud and Abuse Paradigm for ACOs: Blurring the Distinction Between Providers and Payers,” BNA Health Care Fraud Report, March 23, 2011. Co-author, “Congress Acts on the Stark Disclosure Dilemma: Federal Health Care Reform Authorizes New Stark Self-Disclosure Protocol,” New York State Bar Association Journal, Spring 2010. “Provider Participation in ACOs May Hinge on HHS Regulations,” BNA Health Law Reporter, April 15, 2010. Co-author, “A Stark Change: New Regulations Will Require Restructuring,” Health Law 360, September 18, 2008. “Confusion Persists on EHR Subsidies,” Health Care IT News, December 2005. “Patient Blogs,” Health Executive, December 2005. Co-author, "Through the Land of RHIOs,” ADVANCE for Health Information Executives, March 2005. “Anti-Kickback and Stark Law Issues Faced by Health Care Systems,” New York State Bar Association Health Law Journal, Summer/Fall 2004. “Play It Safe When Marketing Drug Cards,” Modern Healthcare, April 5, 2004. “Employers Say Confusion About HIPAA Compliance Is Widespread,” Andrews Employment Litigation Reporter, November 3, 2003. Author, “Applying Old Laws in New Times: Fraud and Abuse Risk Areas for Medicaid Managed Care Plans,” New York State Bar Association Health Law Journal, Winter 2002. “Reviewing HIPAA's Medical Privacy Rules,” New York Law Journal, February 2001. Co-author, “Coverage Gaps: Improving Retention Rates in New York’s Medicaid and Child Health Plus Programs,” The New York Community Trust, December 2000. “The Next Y2K: Getting Ready for HIPAA,” Hospital and Health News, October 2000. Co-author, “Organizing a Managed Care Plan: A Road Map for Hospitals,” Managed Medicare & Medicaid, December 1998.